Note that no attributes or coordinate variables are returned by these functions. 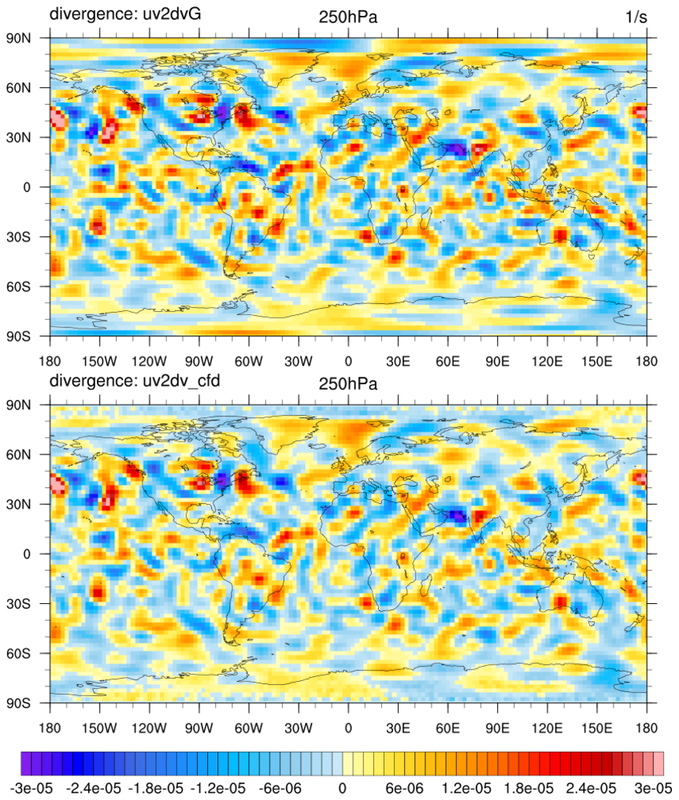 wind_1.ncl: First calculates divergence, then the divergent wind components. Creates a simple vector plot. 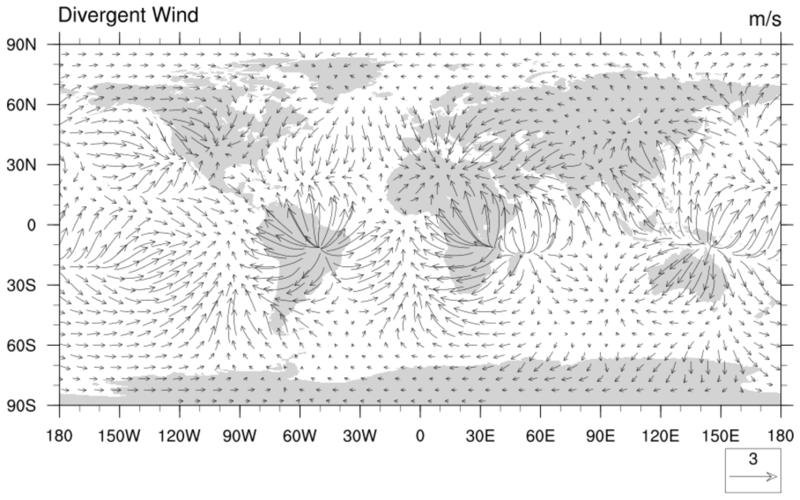 wind_2.ncl: First calculates vorticity and then the rotational wind components. Creates a simple vector plot. 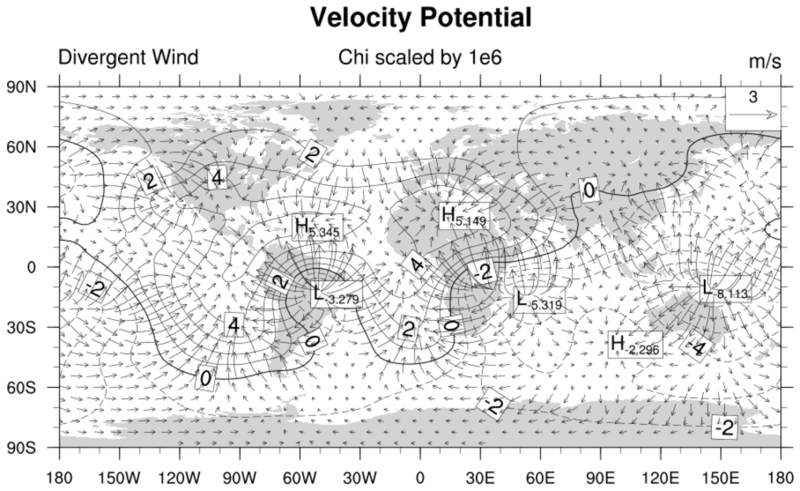 wind_3.ncl: Divergent wind vectors plotted over velocity potential. wind_4.ncl: A black and white version of example 3.
wind_5.ncl: Example of divergence calculated via spherical harmonics (uv2dvG) and centered finite differences uv2dv_cfd. These functions require the grids to be rectilinear. 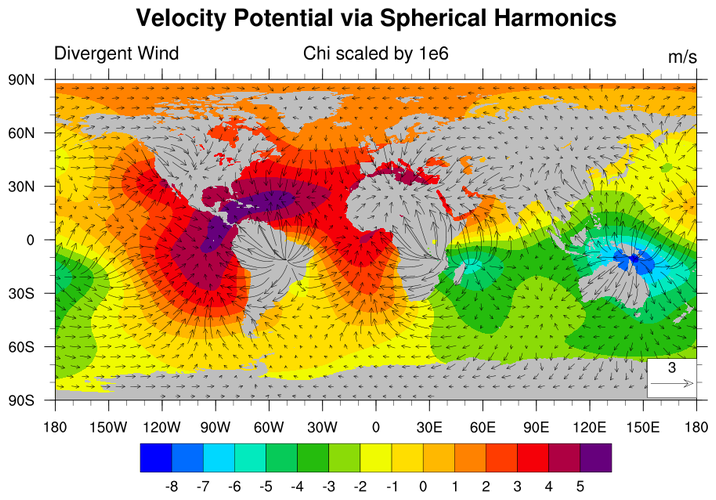 All spherical harmonic function require global grids. The centered finite difference function(s) can be used on limited area grids and allow missing values (_FillValue). 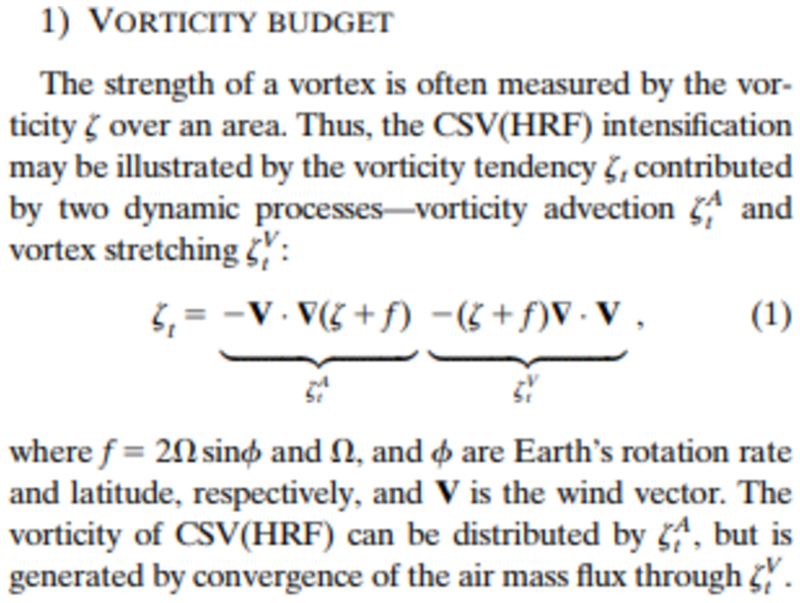 wind_6.ncl: Calculate the local vorticity tendency using spherical harmonics. Spherical harmonics are used to produce highly accurate gradients. 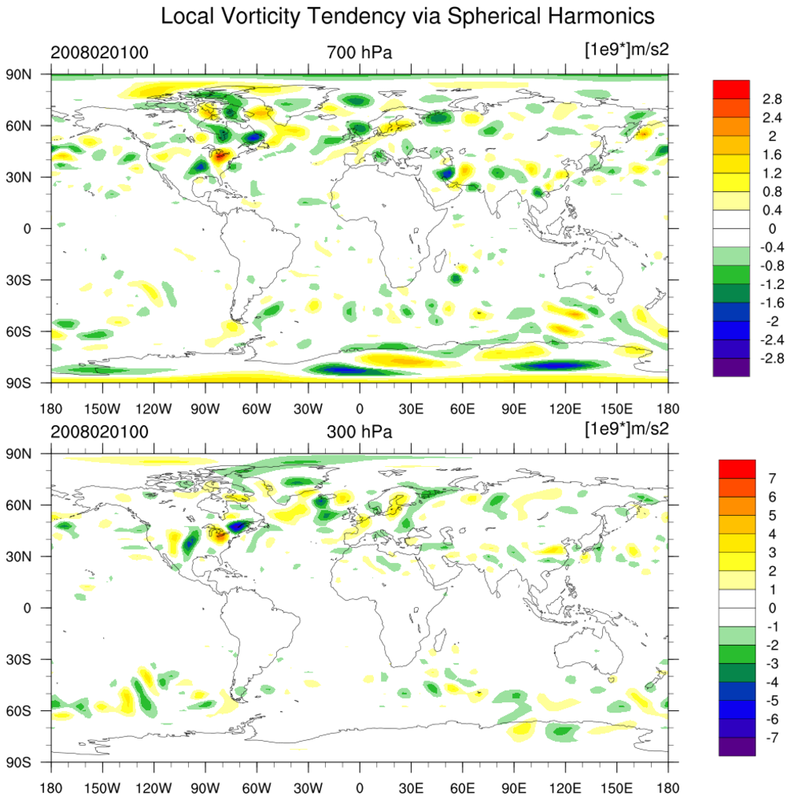 Based upon scale analysis, the synoptic scale local vorticity tendency can be calculated using the two terms shown in the rightmost figure. The reference in the wind_6.ncl script provides additional information. The original code design was to plot an EOF ONLY if it was significant (see: eofunc_north). 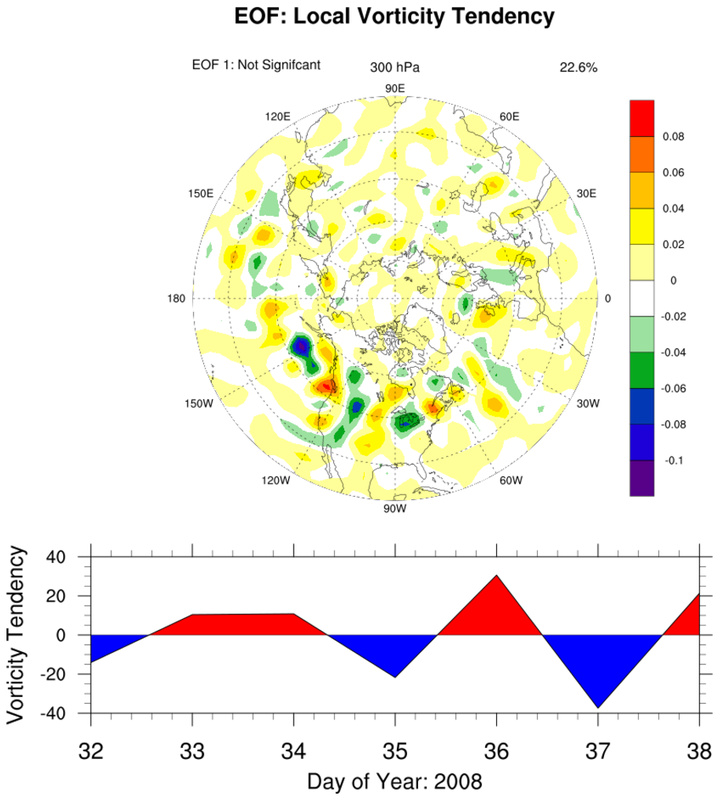 However, for this example, those code lines are commented to illustrate what the EOF plots would look like. 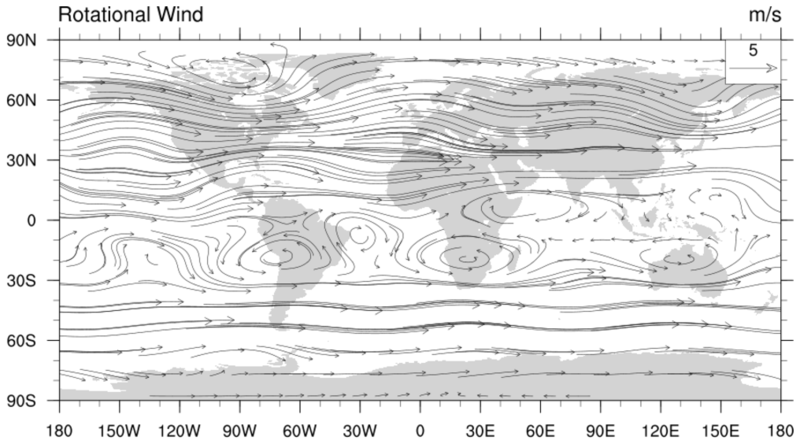 Also, only one EOF plot is presented.